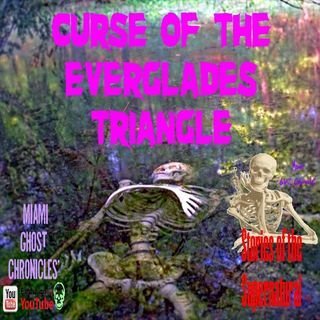 Miami Ghost Chronicles explores the Curse of the Everglades, which some claim was a hex placed by a Seminole Medicine Man. Whether this is truth or urban myth there is no doubt that the Everglades is steeped in mystery, murder and tragedy, from 3 airplane crashes within miles of each other to bodies of murder victims strewn along this area, some of them yet to be identified. The Everglades houses a Lost City, as well as a pirate ship doomed to sail the river of grass as punishment for killing ... Maggiori informazioni all those aboard a captured merchant ship.